The BlackStrap daily tube is your ​multi-functional neck gaiter against the elements​. designed the outdoors, this lightweight highly breathable piece keeps you cool in the blistering sun, dries quickly when damp and adds thermal warmth for cutting cold winds. Did we mention built in uv protection sunburns are now a thing of the past. . LIFETIME WARRANTY! ZERO RISK! 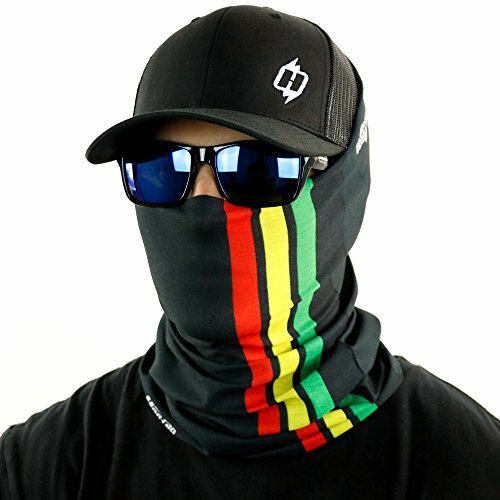 SA Co. Face ShieldTM tubular bandanas offer style and sun protection without weighing you down. 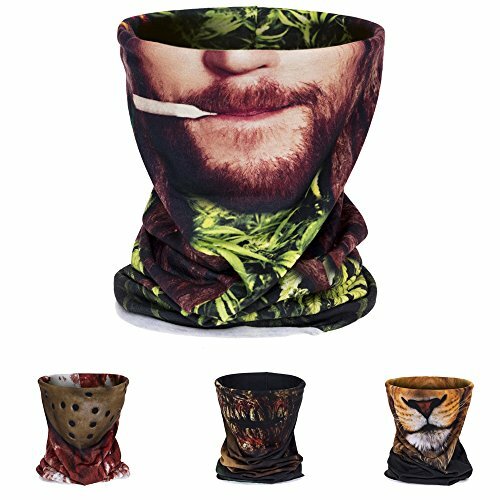 Face ShieldTM tubular bandanas can be worn MULTIPLE WAYS! Lightweight and comfortable, our Face ShieldsTM wick away moisture, dry quickly and breathe well. You'll be amazed by how effectively it reduces skin temperature and helps maintain hydration to keep you fresh and ready while outdoors. For all you rasta-lovin' Hooligans we present the Dear Bob. 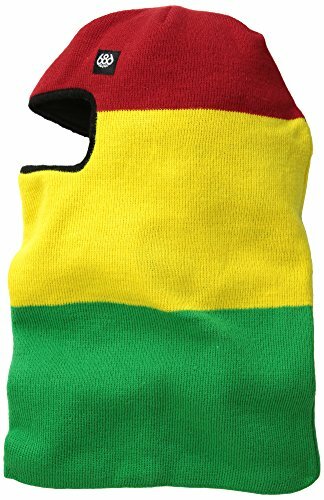 What better way to keep unruly dreads in line and express your love for Jah simultaneously? Peace, love and Hoo-rags. Multi Function Tubular Headwear that can be used a dozen ways. 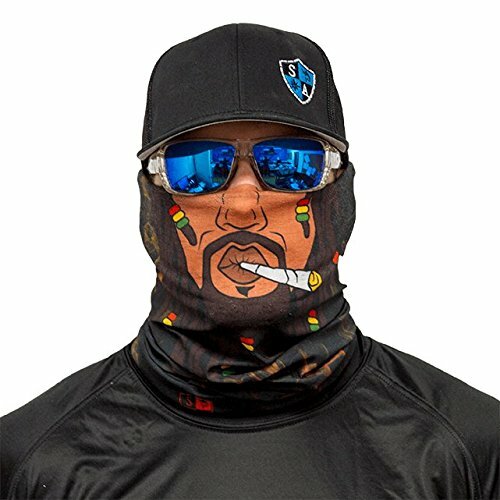 It can be a Face Mask, Balaclava, Durag, Scarf, Headband, Headwrap, Scrunchie, Beanie and much more. LIFETIME WARRANTY! ZERO RISK! SA Co. finds our new stylish product to not only be functional, but also keep you looking awesome with the frosty temperatures approaching. 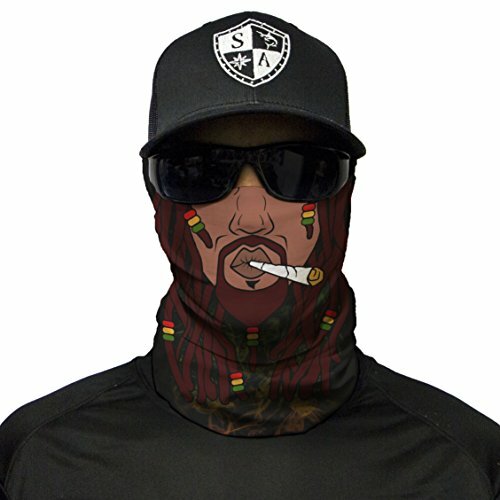 SA Co. is gearing up to introduce their Frost TechTM Fleece Face ShieldTM tubular bandana. 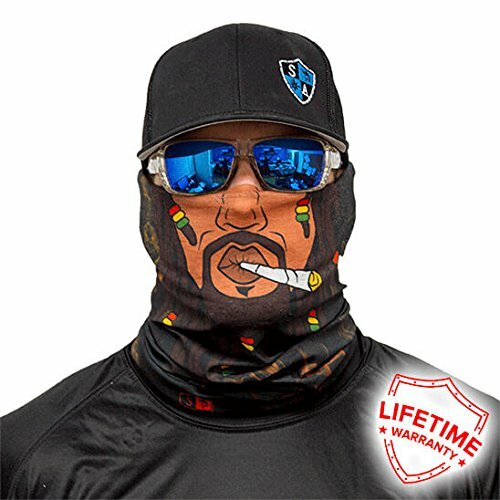 This technology will allow you to stay warm and cover your neck, face and ears during the frosty months ahead. 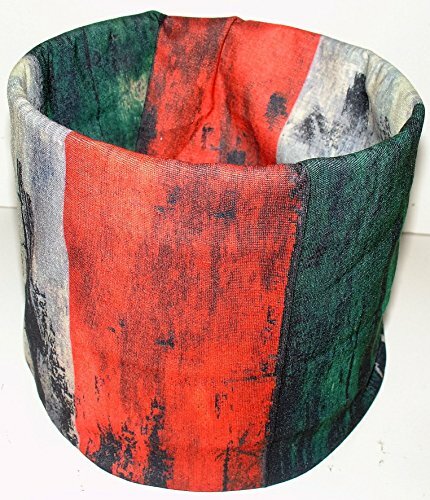 The quality of the fabric is hand picked and has a seamless interior, insuring quality and durability while weathering the harsh elements of the outdoors. The designs are both extreme and stylish, with SA Co. offering some of their most popular designs which will be sure to turn heads. 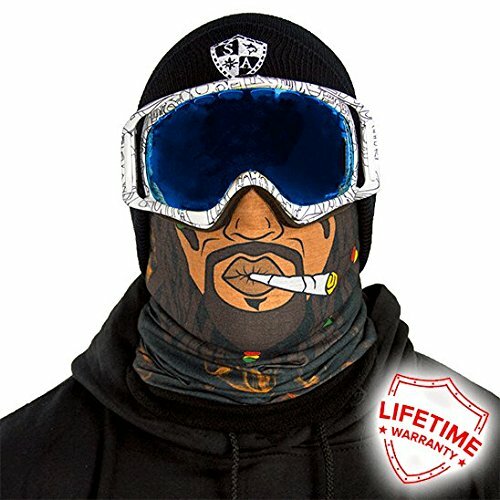 The Frost TechTM Fleece Face ShieldTM tubular bandana can be used multiple ways. Whether as a headband to protect your ears or keeping your hair back and out of the way or a regular bandanna style to protect from the ears down, the possibilities are endless. Our Frost TechTM Fleece Face ShieldTM tubular bandanna has been tested and stops wind chill up to 50 MPH to keep your face protected and sustain body temperature throughout outdoor work and activities.